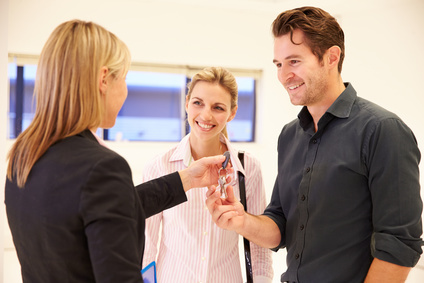 You own the perfect commercial property to lease and you’re eager to start signing on tenants. Premium location? Check. Inspections completed? Check. Leasing strategy…what’s that? Neglecting to ensure you have a commercial property leasing strategy in place is a potentially costly mistake that landlords often make. We explain below what a commercial property leasing strategy actually is and how, along with the advice and support of a good commercial real estate agent, it can help ensure your success as an investor. What is a leasing strategy and what does it do? All businesses that aspire to succeed need a plan, and commercial property leasing is no different. Why? Because success is something that needs to be planned for and measured. Without a roadmap for success, it’s almost impossible to get from point A to point B. In commercial property, a leasing strategy is particularly crucial, especially when your property has multiple units to lease and you are trying to achieve the best rental rates across all tenants. Without clear objectives – such as projected rental revenue – and tactics to acquire the best tenants, your commercial leasing plans can fail. Below are some of the key mistakes you can easily avoid by having a commercial property leasing strategy in place. When your tenants sign a lease, you need to make sure that their lease terms – the length of the lease – match your overall leasing strategy, and the long-term investment goals for the property. Agreeing to vary lease terms with each tenant can be administratively complex to manage, especially when it comes to re-negotiating new terms at the end of the lease period. Align the lease terms with your future plans, and both you and your tenants will avoid disappointment further down the track. Similarly, loose lease terms can mean tenants end up terminating leases early, costing you money when you need to re-lease the property. With a solid lease strategy in place, you can ensure that you have firm conditions around early lease termination and “make good” clauses built in to every lease to avoid this issue. Offering up your prime real estate may be an attractive option when you first start signing on new tenants. After all, it’s easier to market the cream of the crop. However, this approach can actually devalue other areas of your property. For example, if you market your most brightly lit spaces as the best in the building and these are snapped up first, you are likely to have difficulty finding good selling points for the other spaces. A strong leasing strategy will document the strengths and weaknesses of each part of your property in advance and allow you to build your marketing plan accordingly. A successful commercial property relies upon a healthy cash flow, amongst other factors. But if your tenants have cash flow problems, this will get passed on to you. Rent and outgoing arrears can easily mount up, so an essential part of a good commercial property leasing strategy is to make sure you thoroughly investigate each tenant’s business plan and finances to ensure they’re prepared and financially sound. When you have competing tenants – for example, two hairdressers – this can often lead to price wars. Whilst a little competition is healthy, if one business fails, it can ultimately lead to the business vacating when their lease ends, or even worse, before the lease ends. Consider the possibilities of a wider tenant mix, and you’ll thank yourself in the long run. The type and timing of any improvements to your property is critical. A large scale addition or change to the property may not suit the needs of potential tenants – a waste of your valuable money. In addition the timing is critical to ensure that any investment is built into the budget plan and results in higher returns from your tenants. This is where it is crucial to get advice from an agent on when and what level of works to carry out when preparing to lease a property. It can be an attractive option to hold out for an extra dollar, but this can leave a space vacant for a considerable amount of time. Lease to a quality tenant at the market rate, and you’ll likely have more profits in the long run. Your leasing strategy should outline the rental levels that are necessary for you to meet your projected revenue targets. It’s crucial that a landlord, along with their commercial property agent, assesses the strengths and weakness of their property and competing properties. Your agent can help you do this in the early stages of developing the leasing strategy. This will enable to you determine your properties Unique Selling Point – what makes it stand out from the rest – and take advantage of potential areas for improvement. Things like keeping a vacant property clean and tidy, free of debris and graffiti, and ensuring all fittings and fixtures are in working order are crucial to gaining interest and ultimately leasing the property. They’re also key to keeping your tenants happy. Your leasing strategy can provide reminders about how to keep the property, and in particular the common areas, in good condition – which will reflect positively on the property and your investment acumen. It’s easy to make mistakes when you don’t know what you’re doing wrong. But with a commercial property leasing strategy in place, and a competent and professional commercial real estate agent to assist in developing and executing the strategy, you’ll find the road to investor success much smoother and profitable. Ask HKC Property Consultants about how they can help you with commercial property leasing without the road bumps – we’re only a phone call away.